Figure: Tall and well toned muscular. Extra Details: He is old, perhaps one of the oldest to have lived. Seeing so much battle things have changed with him, His right hand the nails are tipped in silver hardened never growing longer but each coming to a sharp point. He has the upper fangs which are tipped so that when they lengthen the ends are covered in metal points keeping them smooth and seemingly painless when he feeds. He has the heightened sense’s of a vampire like others. Personality: Quiet but not hard to get to know. He harbors many secrets one of which and probably the most surprising is he is the Hunter. The night hunter who attacks and kills any who breaks the old ways. Not the blood letting ways or the other, but the ones that dictate that they must co exist with the humans, they must not kill off humans needlessly and at one time served to protect the highest members of the noble house before things changed so much and he seemingly disappeared. 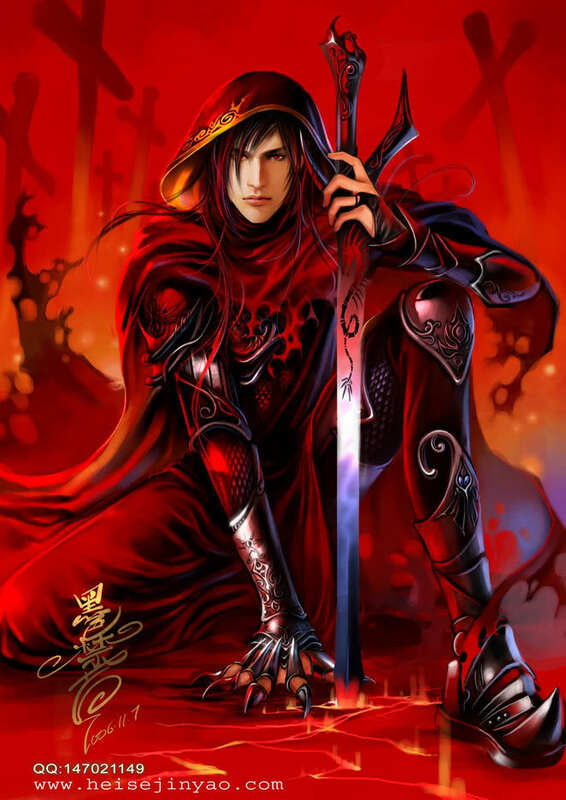 But he has returned now, a blood toned phantom of the night to protect others and cut down even more. Many consider him a traitor to his own kind….because his sword has been soaked through the ages in the blood of Vampires who have gone too far. 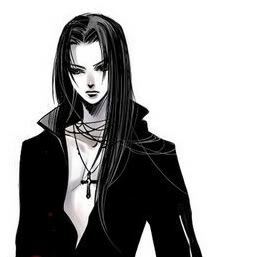 Mikiri was changed during the time of the first Vampires, those of Cain and Dracula's era. He's survived a long time by being able to adapt and change with the times seeing many vampire hunts and seeing many of his kind slaughtered and slain. But the one thing he noted then and that has come about over the passage of time is that humans will hunt those that hunt them. And yet they will accept those who seduce them into nights of forbidden pleasure. He has served under and protected many lines of Nobles among the houses of the day walkers, before one day disappearing into the night. Unable to stomach the old ways during darker times be became a hunter of his own kind an outcast for he hunted down any that sought out the mass slaughter of humans. Perhaps because he himself was once one he tends to look at them unlike most nightwalker as more then a food source. During the passage of time he has learned that those who do not change with the passage will fade away. 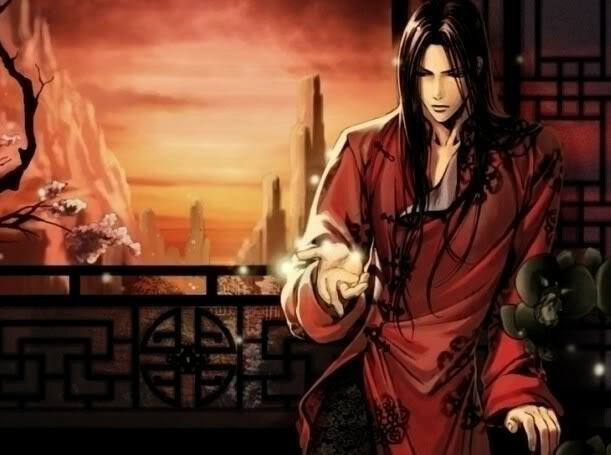 And so he has changed learning about the different things going on around him and has taken a liking to Visual Kei styled music and the such. So much so that he formed a Band calling it 'Forever Night' and before long due to the uniqueness of his appearance and those of his band made it to the top of the charts. He still hunts those who merciless slaughter innocents but now works with the band. 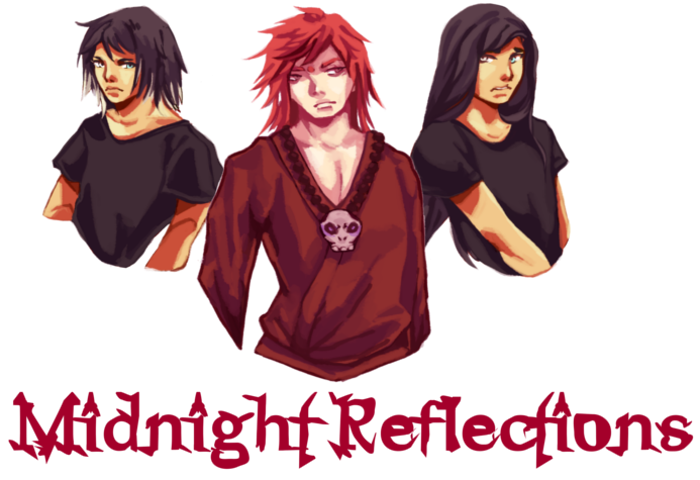 But during the few years that he has performed with Forever Night as it's lead singer he has come into a lull with it. Unable to find the love he once had for the music as, with Stardom came the merchandise and other things that took away from the purity of the music that he loved. Having lost his inspiration Forever night has not graced any stages or made any albums in several months. But during this time on the radio he has heard a young and upcoming band that has begun to reawaken the passion he felt for his music. That of 'Hopeless Beauty.' He can clearly hear the love of the music in there playing and spent time watching them at concerts and the such. Close to being ready to get back out there and start singing again he wants to just once perform with them. Not to boost there careers or justify his own but to feel what they feel on stage. Just a raw passion and love for the music. And perhaps, return the favor by helping them out and bringing them an even bigger fan base perhaps to even being noticed if they so wished it and go from underground to Pop Star. But that choice would remain there. All he's looking for during this dark times is a reason to once again love what he does. And he believes that Answers lay with Neikan Chi and Aoi Rei...and there band. ~Favorite Saying: That which does not change is doomed to fade away.